Tintri is a well know storage vendor focused on VM-aware storage (VAS) for virtual and cloud environments working in a traditional scale-in model (dual controller with disks and you can expand the disks part), but also recently in a scale-out model using a federated node design that treats multiple Tintri VMstores (both all-flash and hybrid-flash nodes) as a pool of storage, greatly simplifying management, planning and resource allocation. But compared to other software based storage product you need Tintri boxes to make some tests, evaluate the product or just learn more. Or ask for the an access to the Tintri “Lightning Lab”, an on cloud lab environment provided by Tintri and based on real products, not only for the storage part (where you can have T5060, T880, T620, T540 storage), but also for the servers (Dell based) and switches (the data network is 10 Gbps) part. 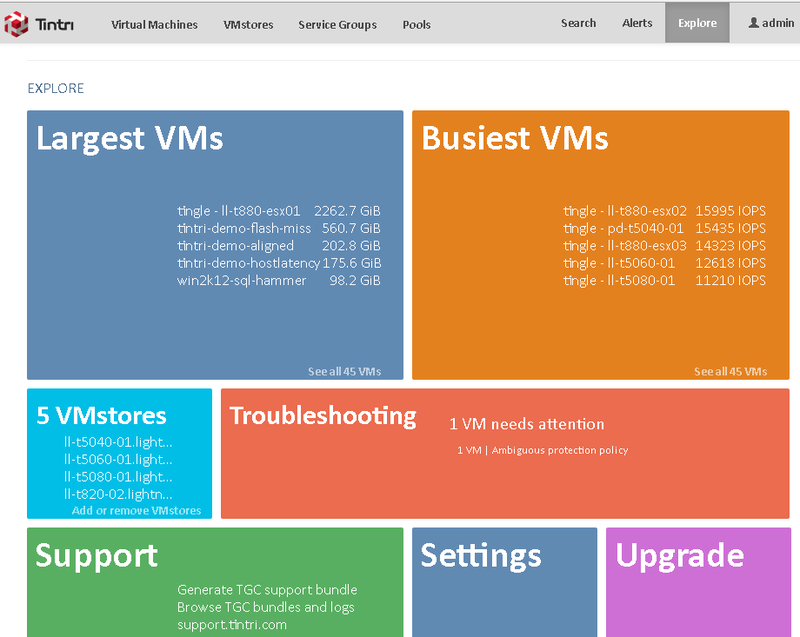 The Tintri Global Center is also useful to understand how using the scale-out features with the pools of different VMstores by using a software intelligence that delivers consistent performance for virtualized and cloud applications. The VM Scale-out software automatically provides best placement recommendation for VMs. 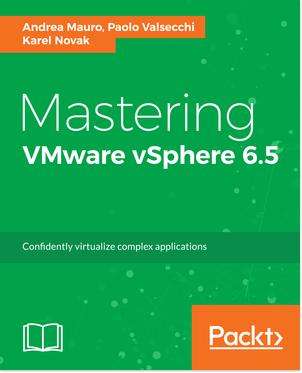 But you can also build rules to define how VM should migrated across the storage boxes, or use the recommendations provided by the system. 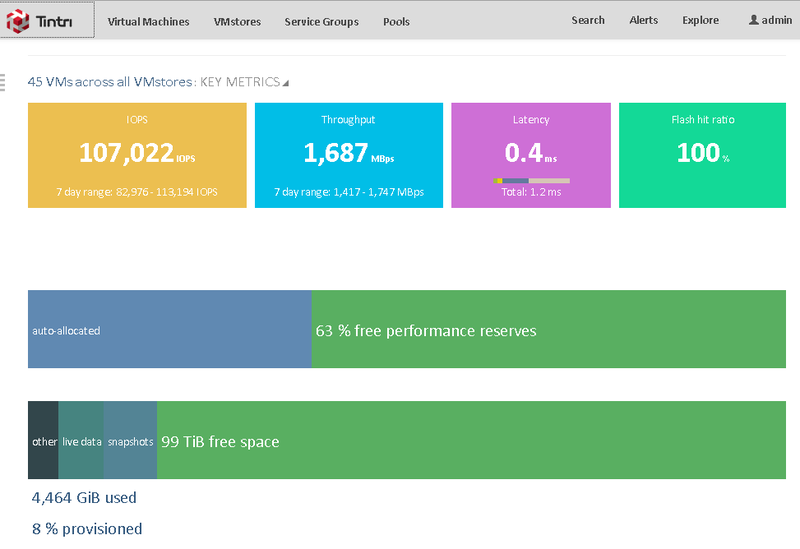 Have a single point to observe the capacity, the thougput or the latency of all your Tintri storage is really useful. Should be interesting if sometime also the availability and data protection part could be integrated in the same view and have more complex rules based also on the VM availability. Quite interesting also the Service Groups functions that acts as a VMware resource pools on the storage IOPS (actually you can define just a minimum and a maximum) for a group of VMs. 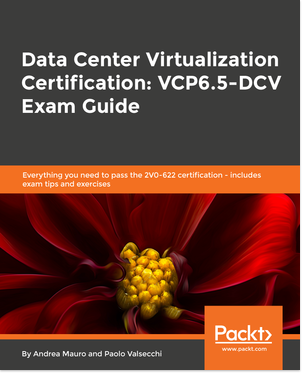 You can manage those parameters at VM side on each VMstores, but with Tintro Global Center you can simple define some VMs groups also across the multiple boxes. One note about the management of the Tintri storage: actually is still Flash based, but the Tintri Global Center it’s already all in HTML5. Also you can build your own VM using the available ISO (quite limited actually). Should be nice have other workload tested like the VMware I/O Analyzer or Login VSI. And some real workload, like the ability to build virtual desktop or run some database. 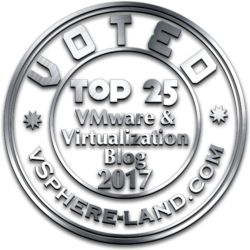 All the environment is using VMware vSphere 5.5, that it’s a pity considering that you canno test the Virtual Volumes support and, more important the policy driven capabilities. Anyway the Tintri integration in the Web Client is already good also in v5.5 with not only informative data, but also the possibility to control and manage some features from the Web Client, like the data protection. Of course you can manage it also from the VMstore side and it’s quite easy and powerful: you can set VM replication and snapshots policies and define both the local and the remote retentions. Note that snapshot could be VM-consistent (using VSS) or simple VM crash consistent. Same level of consistent states are available in the VM cloning feature that permit to deploy really fast one VM (or also more than one using the same interface) with the ability to use also guest customization. Those clones are quite efficient on storage side using no space until the data are written to the virtual disks. And capacity optimizations are really good, of course, also without using the VM cloning features. Both compression and deduplication seems to save lot of space. Tintri provide inline deduplication, compression and zero block optimization. But of course could be nice see how could be effective with real data and workloads. 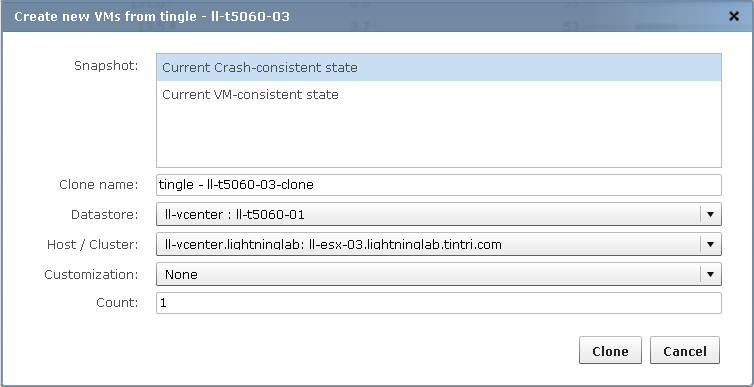 Tintri is also multi-hypervisor, but the lab is limited on VMware vSphere (Hyper-V is by request). Maybe a nested lab could be a way to test more complex environment, but the performance in this case are no more real. But, in my option, could be a way to test also sometning more complex like Site Recovery Manager integration. Could be nice have some VM templates or more virtual infrastructure to play with. But also in this way the lab is an interesting way to make some practice with the products and their functions.